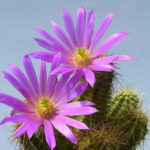 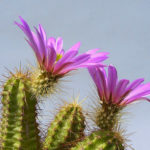 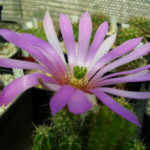 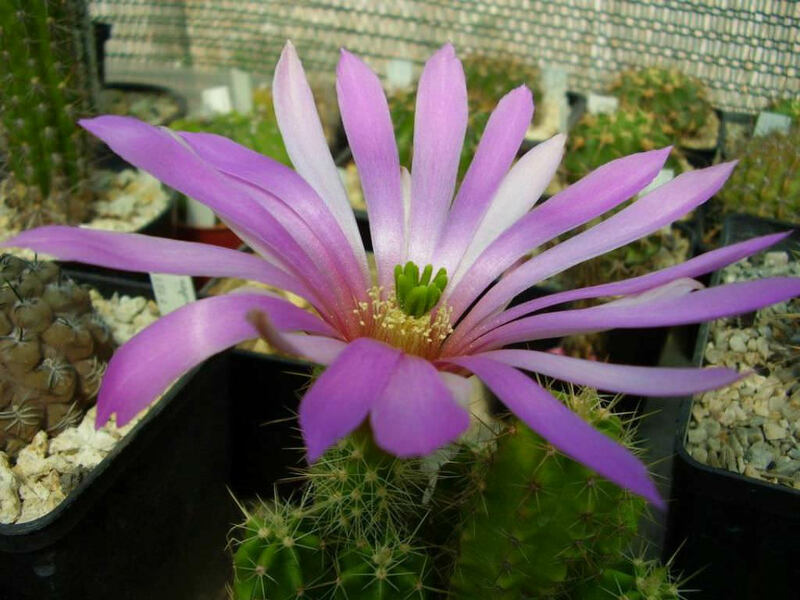 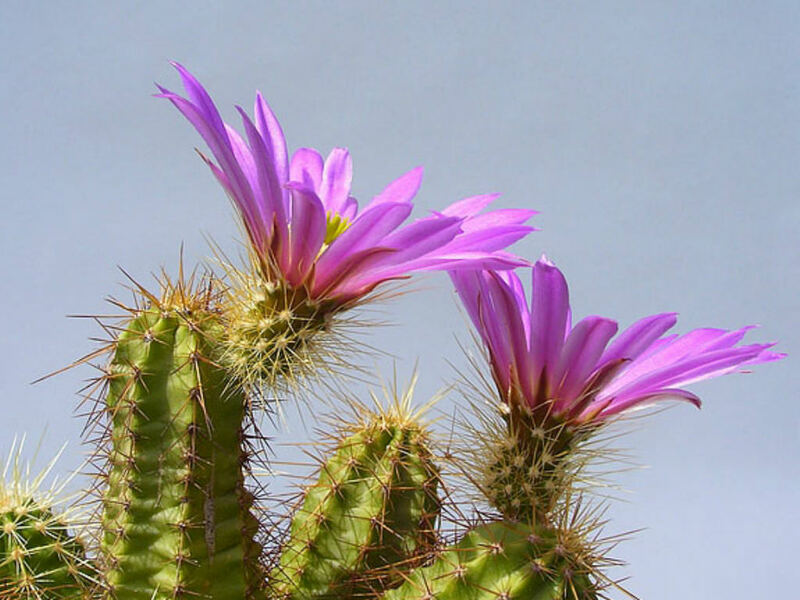 Echinocereus viereckii is a clumping, “hedgehog” type with bright green stems and straw yellow spines, rarely longer than 1 inch (2,5 cm) and 6 to 9 tuberculate ribs. 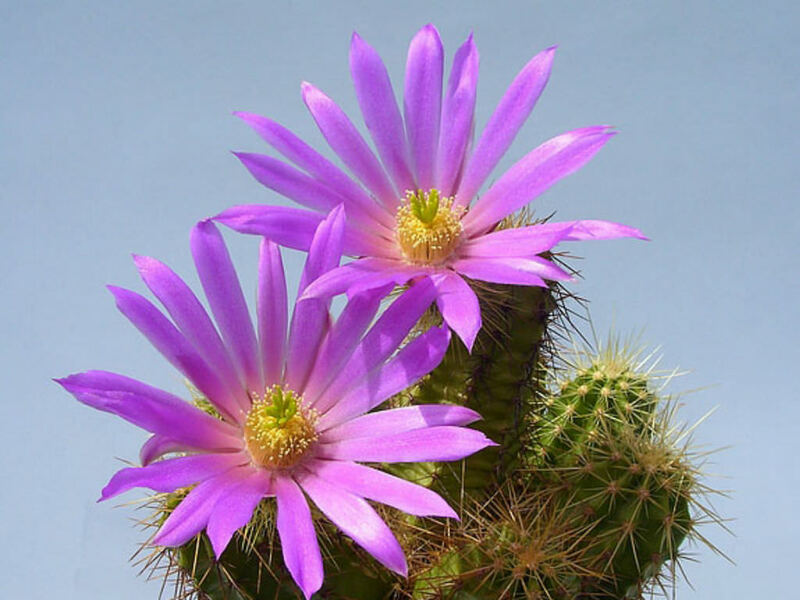 It is a clustering cactus specie, branching profusely from the base, ultimately forming somewhat open clumps up to (12 inches (30 cm) tall. 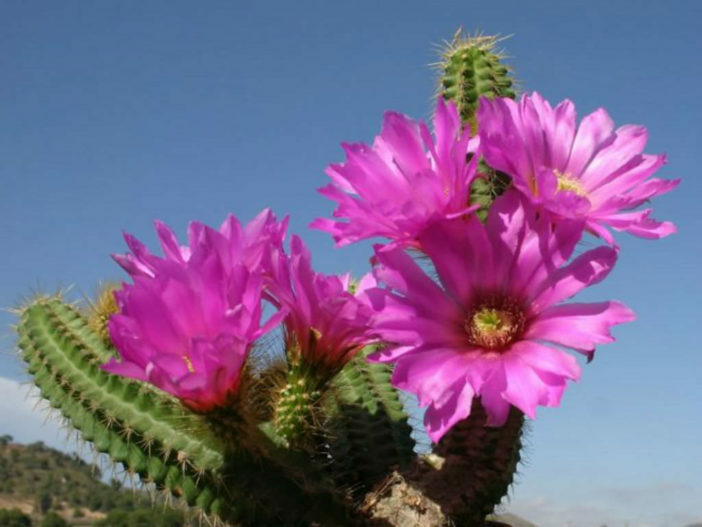 The large, funnel-shaped flowers are a brilliant, magenta and up to 4 inch (10 cm) in diameter.